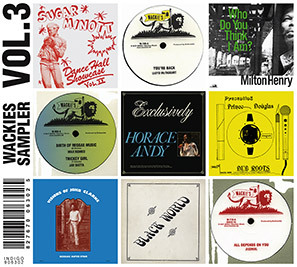 After 18 more projects in Rhythm & Sound’s Wackies reissue program here is the overview of the releases following Wackies Sampler Vol. 1 and 2. "Wackies Sampler Vol. 3" (Indigo , CD only) features one outstanding tune from each release. 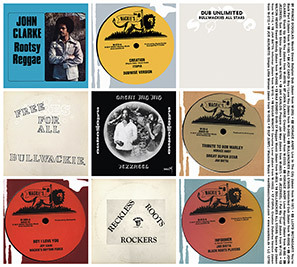 This Compilation is as essential as it gets for any Reggae listener, ranging from Dub and Roots to Dancehall ina 80’s style, with less known artists alongside some of the biggest names in Reggae Music. The tunes taken from 12" here appear for the first time on CD within this reissue program.